By Hongkiat.com in Internet. Updated on November 8, 2017 . Here’s what we usually do. 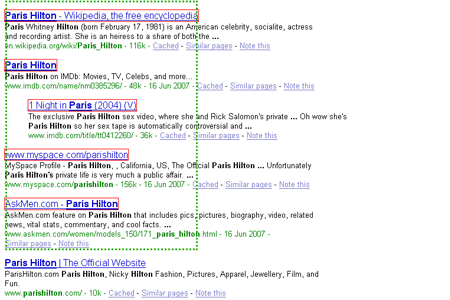 To open links of multiple pages, we click each of them one by one. Firefox has a cool plugin that helps you speed things up a little. 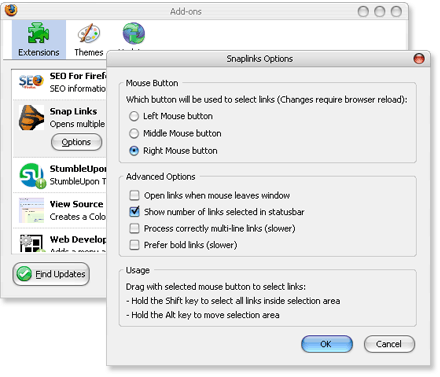 Snap Links helps you open multiple links within selected area in tabs. All you need to do is hold mouse’s right click and drag the across the hyperlinks. Highlighted areas are in dotted green and hyperlinks detected will be boxed in red. Upon release of right click, links will be open in tabs. Simple as that.